This week, Slate is running a series by Tom Vanderbilt on the state of walking in the U.S. Yesterday, Vanderbilt looked into the much-discussed Walk Score rating. What this is is a algorithmic that looks are various factors that improve the walkability of a particular location. For instance, how many coffee shops can you walk to? How many grocery stores? What transit can you walk to? Close by entertainment & restaurants, etc.? 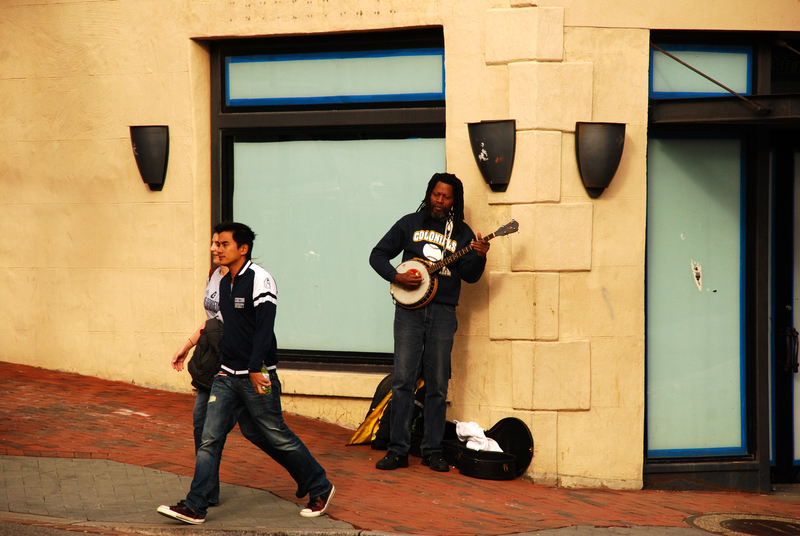 Most Georgetowners don’t need to be told what a joy it is to walk around our neighborhood. 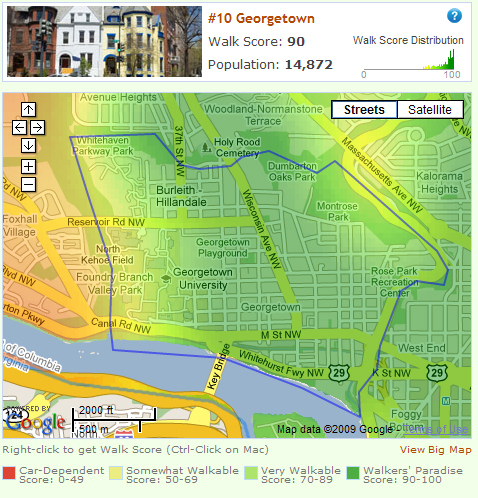 So they won’t be surprised that it’s been “proven” scientifically that Georgetown is just barely a “Walker’s Paradise” according to the Walk Score website. Although GM is hardly one to argue with that conclusion, frankly the methodology isn’t quite sound. When you type in an address, it tells you a list of the closest coffee shops, or pharmacies, etc. But when you type in 3000 M St., it helpfully points out that the closest grocery store is some outfit called “Emerging Markets Private Equity” on Thomas Jefferson St. Something tells GM that they don’t stock much fresh produce. Last week GM explored the question of cars and parking in Georgetown by digging into the Census records to determine what the actual car ownership levels are in Georgetown. The somewhat surprising results demonstrated that the parking problem in Georgetown may be caused more by multi-car households than it is caused by a density of residents. This week GM looks into what we do (or don’t do) with those cars every morning. GM first started thinking about these questions after the last ANC meeting. At one point Commissioner Bill Skelsey argued that when he has to drive around for a half an hour at the end of the day looking for parking, that’s time he can’t spend with his kids (a point made in critique of a proposed curb cut). GM left the meeting wondering: is that the experience of most Georgetowners, or is Skelsey a minority? Should the ANC be worried about Georgetowners spending time away from their loved ones while circling around the block, or do most of us get to work some other way?